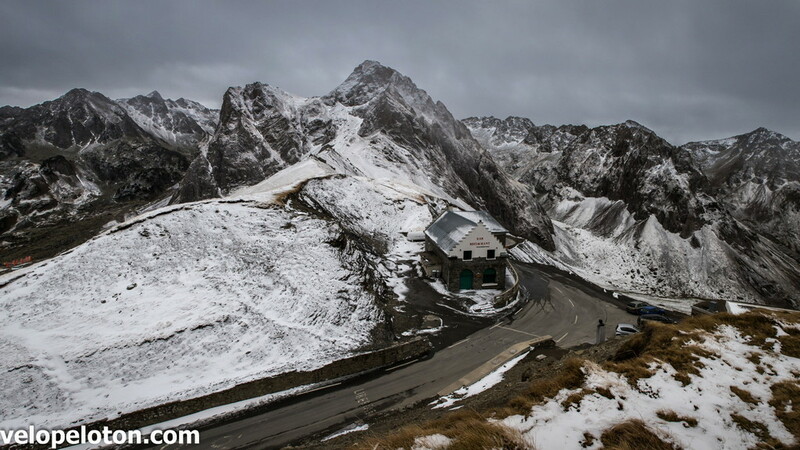 Col du Tourmalet is now closed after snowfall this morning. 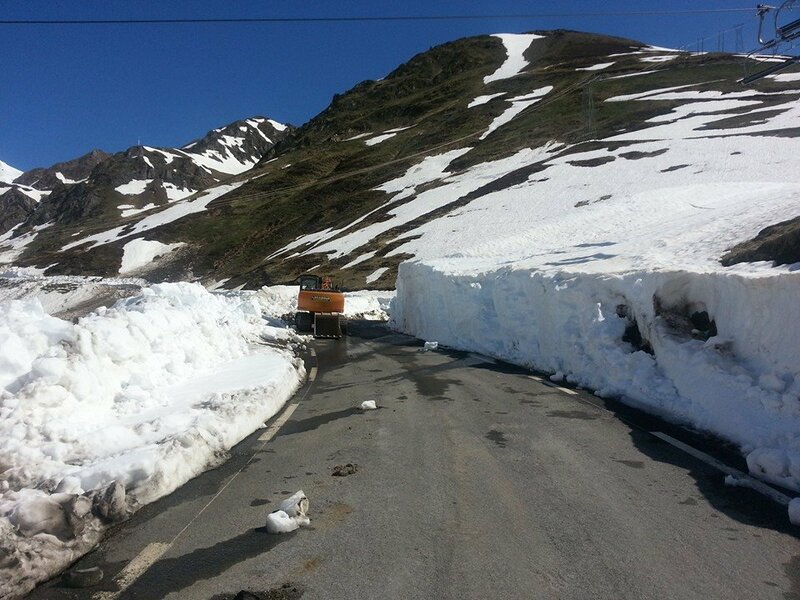 Col du Tourmalet remains open, but perhaps not for long. Forecast is for heavy snow on Tuesday night, down to 1200m. Winter is coming! Le Geant was removed during the week, he will spend the winter in Bagneres-de-Bigorre and will be returned to the summit on the 6th of June 2015. Col du Tourmalet is expected to close in mid November. There has been no snow yet this autumn and the forecast is for the warm sunny weather to last at least another couple of weeks. All cols are now open. 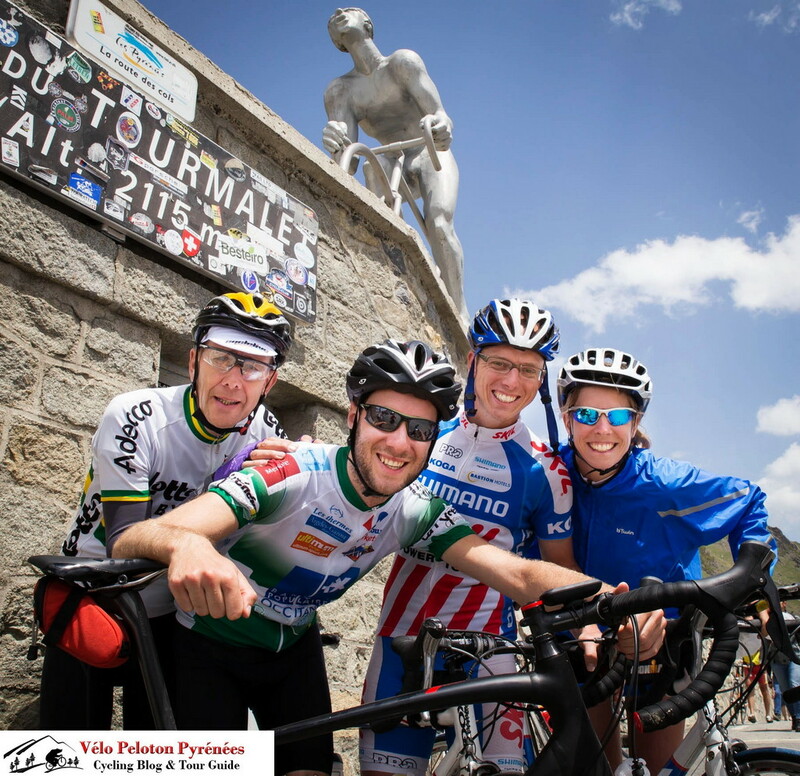 Col du Tourmalet – Marc, Jens, Bram and Annelore from Belgium – 21 June 2014. Col du Tourmalet – Stage 2 of La Route du Sud climbing Col du Tourmalet on 21st June 2014. Col du Tourmalet will be open from Monday 23rd June. There will be restrictions for a further 2 weeks for vehicles above 3.5 tonne. Col du Tourmalet remains closed on the western side for road repairs. It is expected that the work should be completed this week. 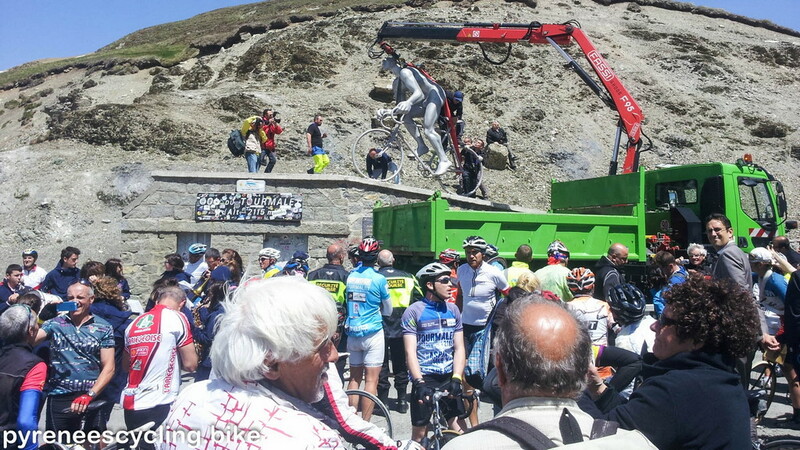 Le Géant was returned to Col du Tourmalet yesterday. There was hot sunshine and 1200 cyclists to accompany him on the journey from Bagneres. Col d’Aubisque, Col de Tentes and Port de Balés are open as of 14:00 today. The western side of Col du Tourmalet remains closed above the ski station for road resurfacing. There is no problem for bikes on the weekend. If you are here tomorrow don’t forget Montée du Géant. Col du Tourmalet is open from La Mongie. From Baréges it remains closed as work continues resurfacing the road. It is possible to get to the summit by bike but not by car. There should be no problem for bikes on Saturday and Sunday. Cirque du Litor is also still closed for repair work on the road surface. It is expected to open later this week. Col du Tourmalet is still officially closed on the western side. It is passable by bike but not by car and should be avoided on weekdays as there are lots of road works. Cirque du Litor remains closed. There was some fresh snow during the week which has delayed the opening. It should be open next week. Conseil Général Hautes Pyrénées (local government) are still advising cyclists and motorists to avoid the road D918 from Luz to Col du Tourmalet between 07:00 and 18:00 weekdays as work on the road and new flood defences are ongoing. Col du Tourmalet is now open from La Mongie. Work to clear the snow is continuing on the side of Baréges. The road below Baréges is also being resurfaced at the moment so best avoided during weekdays for another week or two. Cirque du Litor, the road between Col du Soulor and Col d’Aubisque will open on Wednesday 28th May. The road is clear of snow. Col du Tourmalet, 1km from the summit on the eastern side. Col du Tourmalet is not officially open yet so caution is advised. The western side still has a lot of construction work going on after the floods of 2013. The road will be resurfaced in a couple of weeks. Snow ploughs are within 100m of the summit. The road should be open next week. After the long weekend (Thursday was a public holiday in France) work will restart on opening Col du Tourmalet tomorrow morning. It will be open next weekend at the earliest. 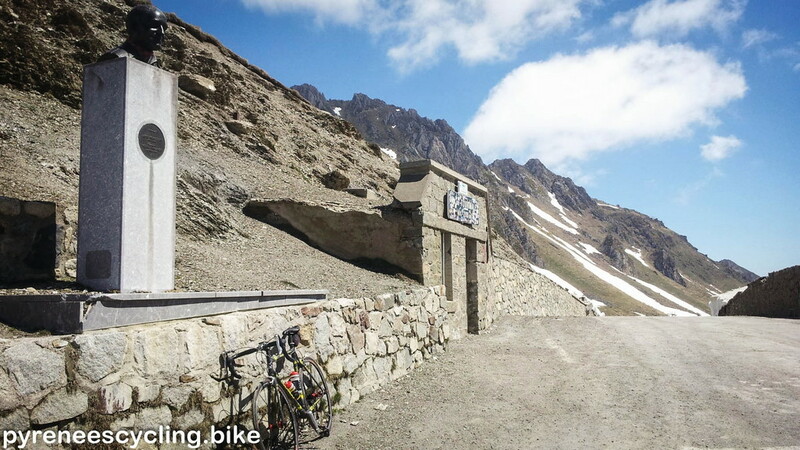 Col du Tourmalet – 2.5km from the summit on Thursday 8th May 2014. Monday 5th May 2014. Work began today on clearing the snow from the road. Thursday 1st May 2014. Col du Tourmalet is still closed 4km from the summit. Looks like it will be 3 or 4 weeks yet. Monday 21st April 2014. The Grand Tourmalet Ski Station has now closed for the season. It will reopen in December. 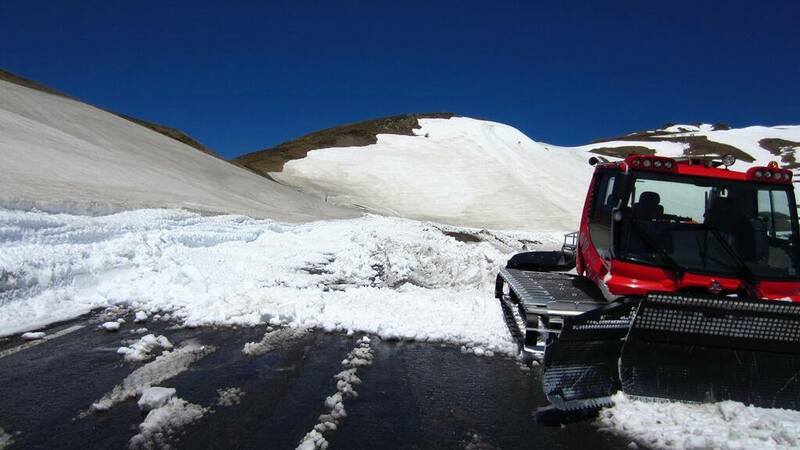 Wednesday 19th March 2014 Col du Tourmalet is blocked with snow 7km from the summit on the western side and 4km from the summit on the eastern side. Weather has been very good recently and the snow is retreating. Wednesday 12th March 2014 This photo and video from 1km below La Mongie today. The road is closed with 4km to go. 5th March 2014 There has been 2 days of heavy snowfall and sub zero temperatures. The sun will return tomorrow and with it warm temperatures. 28th February 2014. There is lots of snow up there, but nothing compared to last year. Is the Aubisque Open? is the road open between Soulor-Aubisque? It is not open yet. I was up there yesterday and the snow ploughs are working on it. I think it and Col du Tourmalet will be open next weekend. Col d’Aubisque is now open. Don’t know. I think it is more likely to be the end of the week. First of all, I really enjoy this website! Thanks for the updates and pictures. I’m staying in Luz Saint Sauveur the first 3 weeks of June. Will it be possible to ride the Tourmalet from Luz Saint Sauveur or is the road complety closed due resurfacing during the week? It is possible to ride it. I did it almost 2 weeks ago now. However at the weekends there will not be any work taking place so there will be no trucks on the road. 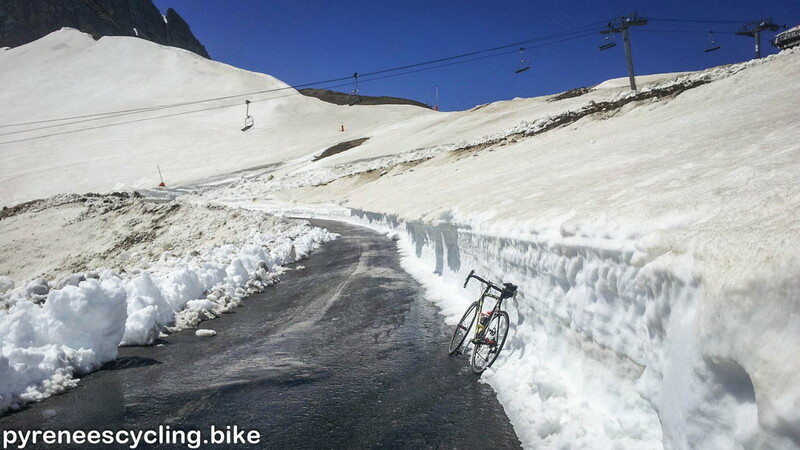 Any idea of Col d’Aspin and Col de Peyresourde being open yet or at least 14th of June? Col d’Aspin and Col de Peyresourde are open. The are usually open for most of the winter and are permanently open by the beginning of March. Thank you very much. So Tourmalet is not doable by bike from Luz Saint Sauveur? Yes you can cycle up Col du Tourmalet from Luz. But not by car. go down to Luz)? on a weekday, or only at the weekend? At what time finish the road works? We need to cross, because we will be travelling the next week. Yes it is possible. You will have to negotiate your way through the trucks and the road will be bad is places. Probably we will cross the col, the next thursday 19th.